Richard Stark (Donald Westlake) should be studied at all writing schools. To write a Parker novel is more of a math problem than a series of moments inspired by passion. The ultimate anti-hero, Parker represents a professional who will do what he has to do, to survive or excel in his line of the profession - which is being a professional criminal. Parker is in a pickle, somewhere in the backwaters of a small community, avoiding an arrest, he teams up with a hermit of sorts, who is still sore about being fired from a horse racetrack. Parker, who is quick with psychological profiles on everyone he comes upon, he acts on not emotion, but intellect. Stark is just as great as a writer as Patricia Highsmith, another narrative writer who plots with the skill of a surgeon under tense conditions. 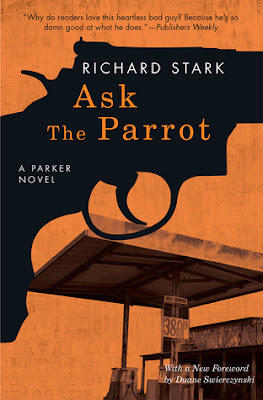 Recommending the best Richard Stark "Parker" novel is pointless. All are equally readable and addictive.